My sister got married in July,2013 at our home town (Jalpaiguri, West Bengal), but shifted to Delhi with her husband in September,2013 as he was employed there in a private firm, though her husband's home town is in West Bengal too (a place known as Malda). Six months after her marriage, she was being mentally and physically tortured by her husband and her in-laws (who frequently visited Delhi) for dowry and a motorcycle. My sister kept on tolerating all these and was scared of telling us about it. She had a hope that everything will fall in place with due course of time. But the torture kept on getting more violent and she was kept in house arrest for months. One fine day in the month of December,2015 she was threatened by her husband of not entering their house or else he would kill her. That very night my sister slept in her land lady's house and the next morning she somehow managed to reach the local police station, and had called me too (as I stay in Delhi too). We filed a written complaint against her husband and the copy was received by the police station. The policemen in the police station initially tried to sort the matter at their end by calling her husband over but nothing worked out as he was a stubborn idiot. Hence the police asked us to visit the nearby CAW cell, which we did on the same day and submitted a detailed complaint about the entire scene since her marriage in 2013. Three counselling dates were given and we were present in all the three days (the opponent had come over too), but none of the counseling worked and hence we were told by the case in charge to settle it outside by filing a case. Since that day in December, 2015 my sister had moved back to my hometown (Jalpaiguri, West Bengal) and she is in a mental trauma. We did not take any action against her husband or his famity till now as we were more concerned about my sister's well being. However, after a span of almost 2 years her husband and his family had sent a letter at our hometown address, through a lawyer about seeking divorce. We received the letter. 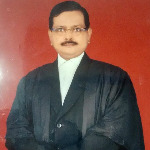 The lawyer whom they had sought help from, had called myou mother over the phone and discussed about it, to which my mother had said that if thet pay us 15 lakhs (5 lakh for marriage expenses + 10 lakhs for my sisters maintenance ), we will be more than happy to give divorce. We never heard back from them anymore. But, on 23/08/2018 a letter was sent from New Delhi Saket Court at our hometown address which my mother couldn't receive it as she had a broken arm and no one was present at home. We do not know what was that letter all about. We are extremely mentally disturbed with all thsee. All I want to know is, can we file 498a from our home town against her husband and his family. I would be highly thankful to you if you can advise accordingly. A. You made your case more complicated by not pressing your complaint under dowry law, domestic violence and 498A in the year 2015. What not done cannot be undone. Ask your sister to lodge a complaint from Jalpaiguri local police station, for domestic violence, dowry demand and 498A IPC. Parallely she needs to file a maintenance application u/s 125 CrPC. and also file a divorce petition on the ground of cruelty and desertion. All these cases can be filed from jalpaiguri, where your sister is presently residing. After filing her divorce petition, she must approach the Supreme Court for transfer of her husband's divorce case from saket court to jalpaiguri court. You must engage a local lawyer from Delhi to find out the status of the divorce case filed by her husband in Saket Court. If an ex parte order has been passed, then it needs to be vacated or set aside by entering her defence through an advocate and contest the matter. Court cases are not supposed to be taken lightly. A. Yes ! You can file the following cases !! A. Yes you can file. A. dear client your sister need to be very strong and take to decision of filing criminal complaint of domestic violence , criminal complaint u/s 498 A into police station. also file maintenance petition u/s/125 of CRPC. court will consider the both complaint and grant maintenance for her. she can apply to court about transfer case into your city court. A. You sister can file a criminal complaint or FIR 0f 498-A IPC, and maintenance case under sec 125 Criminal procedure code,1973 before the concerned Court of Jalpaiguri, West Bengal against her husband. Another a case of Domestic violence can file against her husband and his family member before the concerned Court of Jalapiguri. Your sister can move a writ petition before the Delhi High court for transfer of divorce case from Saket Court Delhi to Jalaiguri. Once the case will be transferred, your sister may file an application of sec 24 of HMA for grant of another monthly maintenance. A. Firstly your sister should take steps for knowing the status of the case running in the saket court and after appearing, contest the case. Secondly she should file case under Domestic Violence Act and sec 498a of the IPC. She can also claim maintenance against husband by filing maintenance petition . All cases can be filed at jalpaiguri, where your sister is presently residing. After taking above steps, she should move before Hon'ble Supreme Court for transfer of case from saket court to jalpaiguri court.